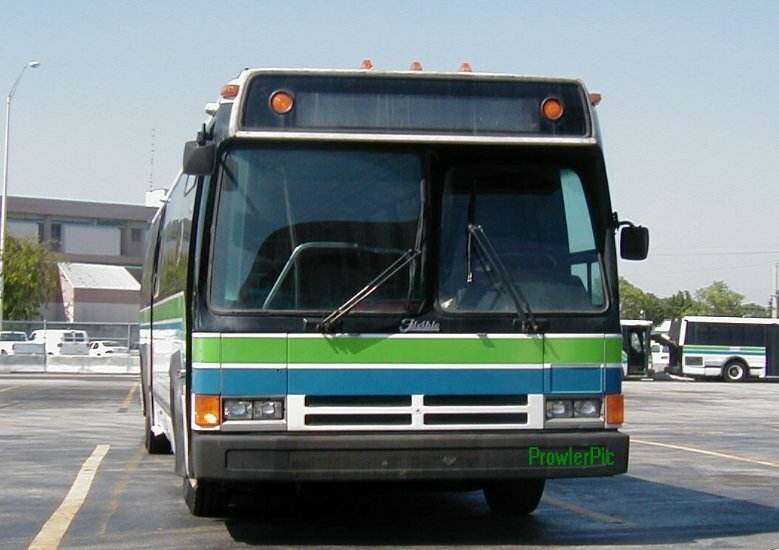 The 7000 series Flxible Metros was the first order for full sized buses in seven years and the first Cummins L10 powered buses, also the first with the Voith 863 three-speed automatic tranmissions. The 129 bus order was numbered 7001-7129. They were the first to come with both tilt and telescopic steering, air ride seat, and stop requested mute feature on the passenger signal. They also came with some issues, though. The Cummins engines vibrated so bad you couldn't see your mirrors clearly when stopped, the brake pedal was hard, and they were slow and underpowered. A fuel pump retrofit took care of the power issues, the excessive engine vibrations were worked on, The operators learned use the fast idle switch to engage the interlock at stop lights to ease wear on the knees from the hard brake pedal. Once those issues were dealt with, the series had a very reliable reputation. Upon the arrival on the 8000 series, the 7000s were split between Coral Way and Northeast Divisions, with 7002-7056 going to CW and 7057-7129 to NE. 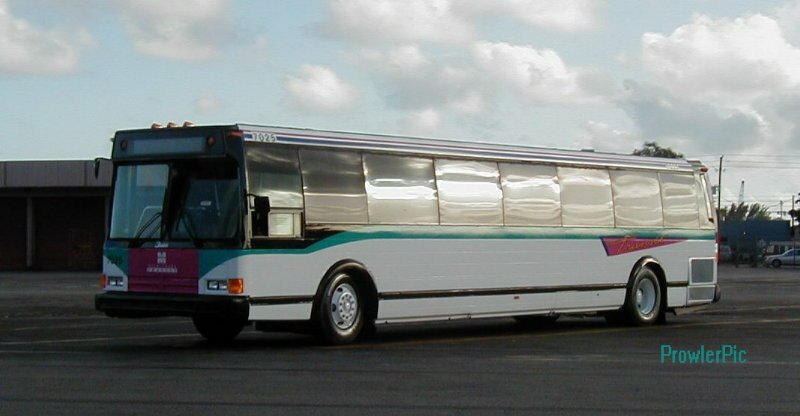 Bus 7001 arrived late and was assigned to Central to run on the 95X and handle all charters. In 1993 it was sent to CWD. Buses 7122 thru 7129 were equipped with PA systems. 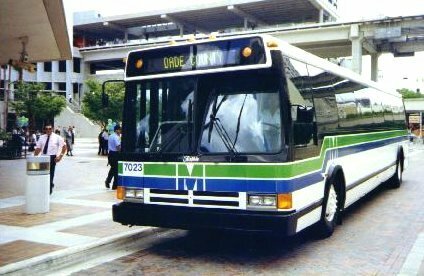 On July 31st, 2002 bus 7025 pulled in from a route 38 at 9:12p. Earlier that day, 7044, 7075, 7078, 7122, and 7127 made their final run and the series was retired. Bus 7080 is still on the property as a possible addition to the historic fleet. 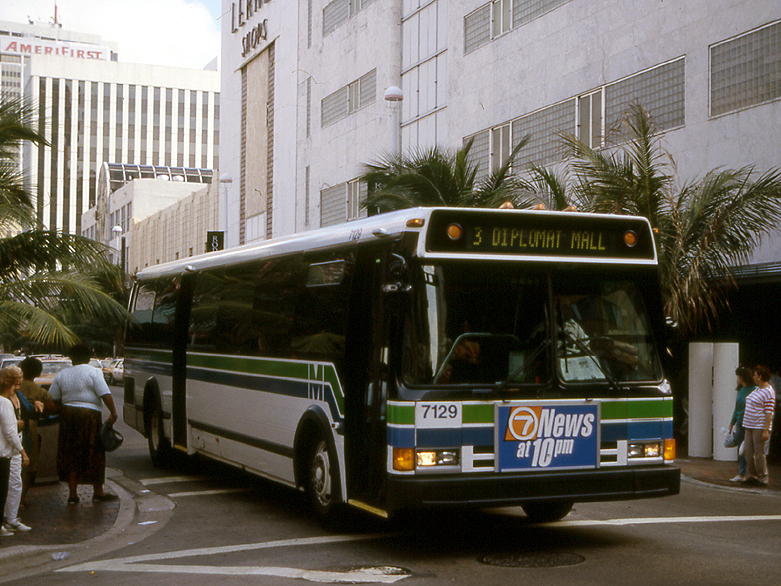 A sharp looking 7129 on the 3 line in downtown Miami. A recommissioned 7025 at Central lot. This was the last 7000 to run for MDT. Bus 7122 found new life in Coral Way, seen here on the 57 in Pinecrest. 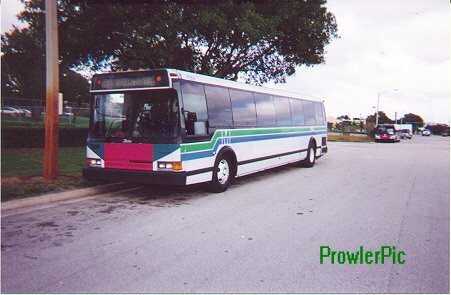 Both of these buses were assigned to Coral Way until retirement. But 7004 was recommissioned and ran for Central, then went on to Northeast and was the one of the last 7000s in service at NE. Bus 7027 after retirement and 7027 again with fresh paint after being re-activated. It was retired again within a week, fresh paint and all. 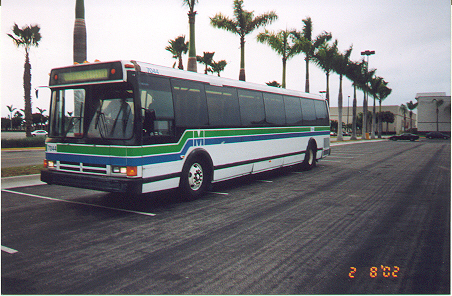 Bus 7054 in a "hybrid" livery and the 7010 after retirement at Coral Way Division. A brand new 7023 being showcased at the Government Center in downtown Miami. 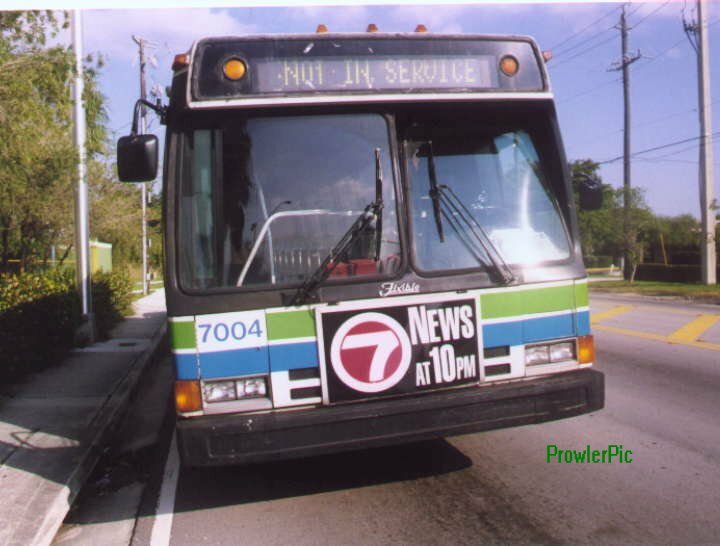 A northbound 7071 in Miami Beach approaching 44th street.